Manual Testing is the process of testing software manually for issues that may impact on an end users’ ability to utilise the software for its intended purpose. The bulk of testing is still done manually. It’s not surprising then, that organisations have low levels of test coverage and throughput. Using a solution that makes defect capture faster provides more time to increase test coverage. Additionally, the process captured from the manual test feeds and automation tests, further increases coverage with the resulting benefit of shorter time scales. Increased coverage, results in fewer errors, improved quality of applications and increased business satisfaction. Full automation in software testing is rarely the best solution, and most teams will use manual testing at some stage. While manual testing can give you an accurate way to find bugs and get a realistic picture of how users will use your application, it has many challenges. From user fatigue to testing bottlenecks, there are many reasons why it makes sense to integrate some sort of automation into your testing process. Manual testing means checking software for defects; if you don’t test, you won’t know the quality. Manual Testing can be laborious and repetitive. Although there are times when manual testing is necessary, it’s often not practical to test manually from beginning to end and the human element means there’s a greater chance of error. There are numerous ways to make manual testing easier, cutting down on time and tester fatigue. Start by looking at stages where automation could be added, perhaps in simple, repetitive tasks, where human intervention isn’t needed. By identifying where manual tests can be reduced, any unnecessary duplication of tests can be eliminated. Adding automation to the dev cycle, results in time being freed up for manual testing of high level tasks, while the simple tests can be automated and run overnight. Some stages of software testing will need the human touch, especially in the early stages. Unfortunately, relying on manual testing for the more repetitive stages of software testing can cause bottlenecks, with testers often experiencing fatigue and boredom that slows them down. It can also be difficult to keep track of and replicate any bugs found. Software such as TestDrive-Assist can help, as they build an audit trail for compliance, so there’s no need to carry out screen captures or keep logs. While automated testing has many advantages, it’s not always possible, or cost effective, to automate 100%. Using TestDrive-Assist helps make poor testers, better testers. It provides instant feedback for agile mock-ups prototyping as well as enabling the production of training guides and process documentation for free. This all makes for a compelling case to consider using manual testing tools alongside those that are automated. This enables identification of processes that could be automated to save money and re-allocation of those resources to more complex areas where manual work is required. See how an easy to use non-technical solution can speed up your manual testing. Whitepaper: Toothache, Headaches and Manual Testing. 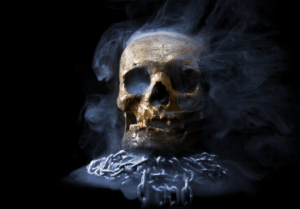 “Captive, bound and double-ironed”- Jacob Marley’s ghost, or UAT with an SME?